April this year they tested the technology on their F50 Adizero. 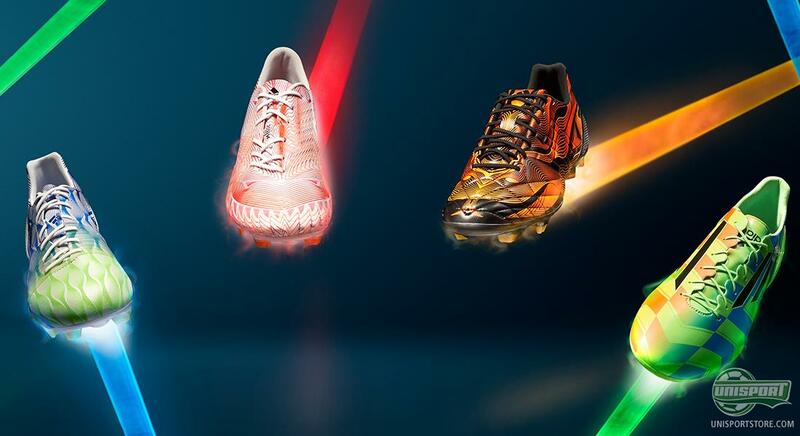 Now the Crazylight concept is ready to be rolled out on all of adidas’ four football boots, so the lightweight feeling can reach out to all parts of the adidas family. 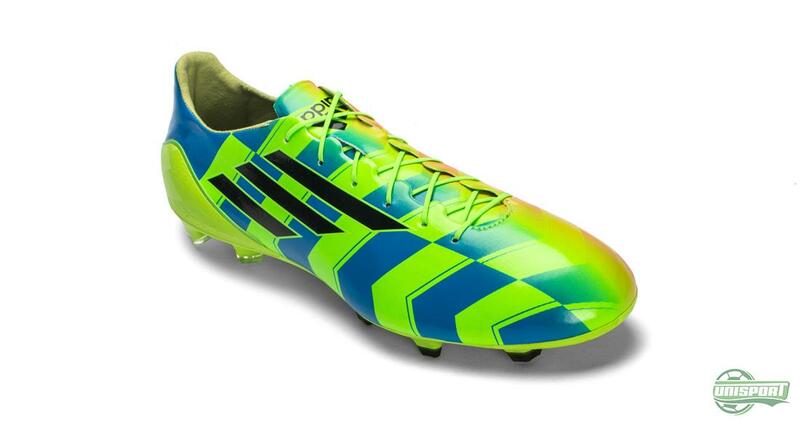 Adidas hereby cement their position as absolute frontrunners, when it comes to the World’s lightest football boots. Check out all four silo’s here. 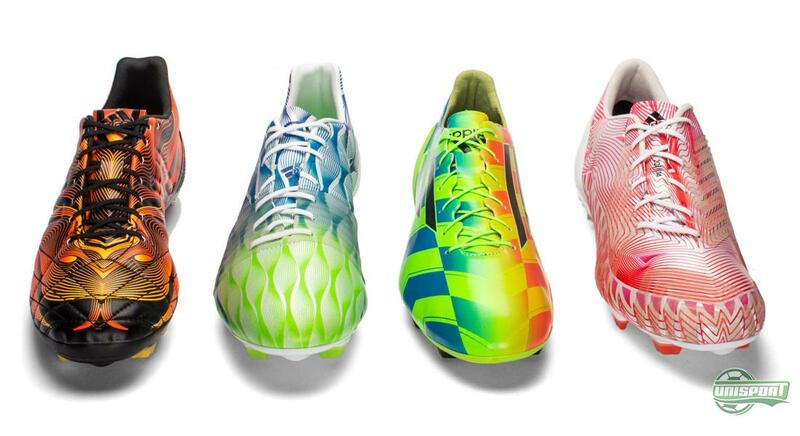 There really isn’t much competition left, when it comes to the battle for the lightest football boots. Nike look like they have shifted their focus elsewhere, Puma haven’t experimented with the weight on their boots for some time and the other brands out there don’t seem to be looking to enter the race. 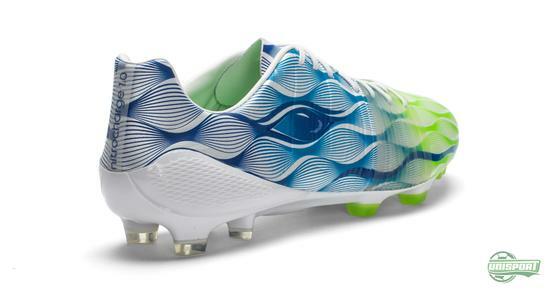 Adidas have therefore now gone in for the kill and look to dominate the lightweight market completely. 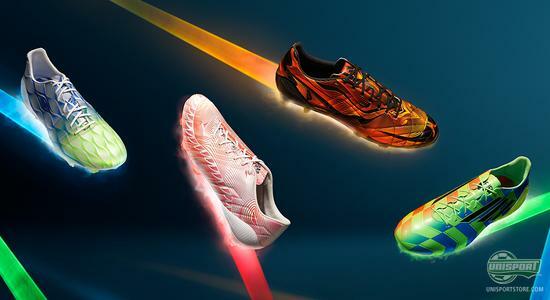 Go crazy with the the new lightweight adidas Crazylight pack. Adidas have for quite some time been very keen to incorporate lightweight on their boots, which among other things brought with it their 99 gram football boot, which is however still on a concept stage. 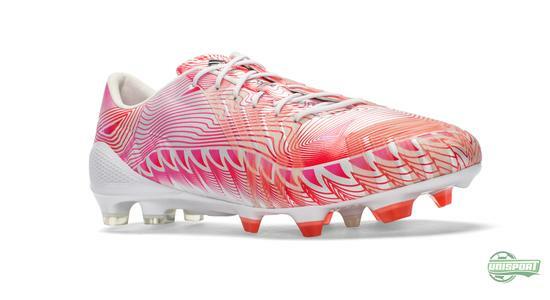 While we are still waiting for the extraordinarily light boot, adidas still have plenty of lightweight cards to play. 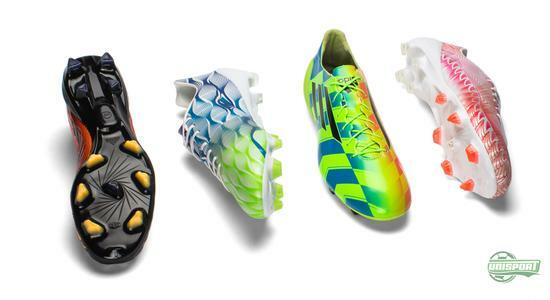 Because with the Crazylight Pack adidas have taken four of their collections, F50 Adizero, Predator Instinct, Nitrocharge 1.0 and adipure 11Pro and shaved off all the weight they could spare, so they now can present a unprecedented range of lightweight football boots. 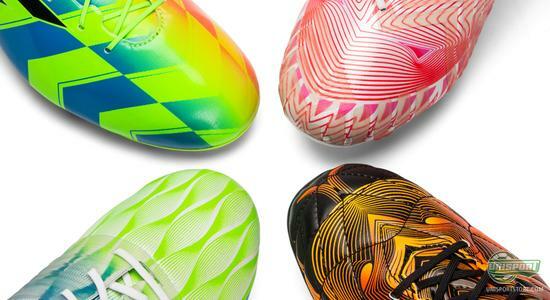 The new F50 adizero Crazylight therefore once again lands with a mind boggling weight of just 135 gram, while the Predator Instinct, 11Pro and Nitrocharge weigh in at 193, 192 and 181 grams respectively. You can find your favourite Crazylight right here. Pre-order them now. The entire concept gets its inspiration from the F50 adizero Crazylight, which was unveiled earlier this year, but this time focus is particularly on the Predator Instinct. 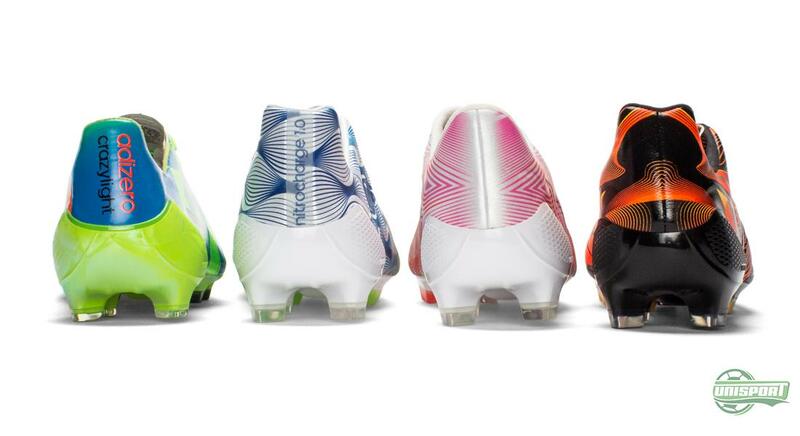 The reason for the Predator stealing the spotlight is because this year is the legendary boots 20 year anniversary. 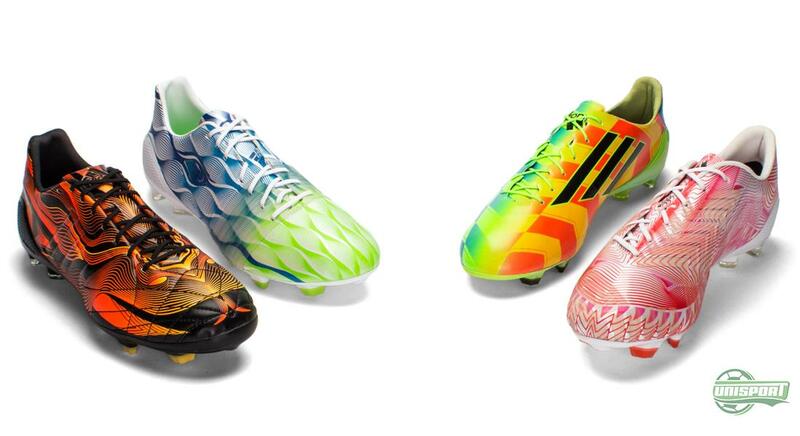 Adidas celebrate this in style, with 14 different interpretations of the Instinct, among them the classics from the Revenge Pack, which were modern versions of three of the most iconic Predator boots. Now the Crazylight technology partakes in the anniversary festivities and boy have adidas managed to shed some grams from the football boot that now stands for both control and lightweight. The last being a theme that now has really taken over adidas’ four silos. One thing that has helped minimise the weight is that adidas have built all their four Crazylight boots on the ultralight Sprintframe, which we usually only see on the F50. This also means that some of the elements we know from the different boots usual soles are removed, like the Control Frame, Energy Pulse and Comfort Frame. A bit strange at first admittedly, but what do you need all that for, when it’s all about lightweight? The new Crazylight Pack fortifies adidas’ position, as the leading brand when it comes to lightweight technology. For them lightweight is alfa omega, but what is your relationship when it comes to lightweight? 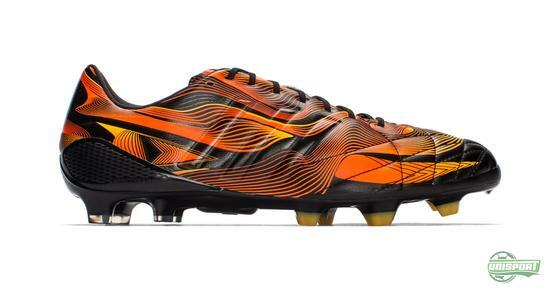 Is lightweight a must when you look for new boots?